Tarot University ArkLetters: Book Review: Dai Leon, "Origins of the Tarot"
Book Review: Dai Leon, "Origins of the Tarot"
I have been very excited at the publication of Origins of the Tarot; Cosmic Evolution and the Principles of Immortality, by Dai Leon. I give it the highest recommendation to all my students, with the understanding that it's a long, slow read. Many different cultural paradigms are introduced and discussed here, some of which might seem new in the context of Tarot. Ideas from our ancestors, both ancient and more recent, are rubbed up against each other, hopefully to throw sparks into the inner life of the thoughtful reader. There is nothing I like more than a rich, meaty ride through the thought-streams of a sophisticated thinker. But I am not the norm, so be advised. That said, anybody who can read what I write (on the subject of Tarot, at least) should be able to follow this too. What is not obvious at the outset is that a book like this could not have been presented before now, certainly not before the 1990's. Were Leon to have proposed this research in either an academic or commercial setting 20 years ago, he would have found scarce sympathy for his overall premise, entirely aside from it's degree of correctness. The global academic community hadn't evolved to the state where such ideas were even enquired about in public, much less funded for research! Roughly half of Leon's bibliographical references have been published in the last 15 years or so, after a generational shift happened among the reigning academics. Certain seminal individuals had to undertake career-long research and translation campaigns in order to validate the study of esotericism in any form, before support could become available for amassing the kind of bibliography that fuels investigations like Leon's. Topics like yoga, kabala, hermeticism, Sufism, theurgy, initiation, art of memory and shamanism were buried in widely separated intellectual ghettos with few channels for interpenetration (at least in the scholars' minds!). The natural conservatism of historians, along with a religiously imposed and near-universal ignorance about esotericism, combined to relegate academics interested in Tarot's history to a ghetto within a ghetto. To make the kind of presentation that Leon gives us, available evidence had to be winnowed from sources that have no interest in or knowledge of Tarot, then fitted back together with painstaking care, as if one were making a giant quilt from postage-stamp-sized pieces. Additionally, Leon gave himself this global education without subsidy from any sponsor, meaning that it grew naturally out of his own spiritual curiosity and questing nature. He stands on the shoulders of many inspired people's heroic labors of love, but there is no pre-created intellectual, cultural or financial safety-net arranged to support and reward him for this monumental effort. The result is a gift from Dai Leon to whoever is ready to receive it. It takes constitutional fortitude to wade into an intellectual environment that is not only academically unregulated and fiercely political, but which is also massively market-driven and commodified at the same time! People with every kind of vested interest will find something to nitpick here, because Leon's larger view destroys the beehive-like separators that have kept Tarot's specialized cliques insulated from this larger paradigm. Like a newly awakened ancient volcano, Leon is shaking all of the artificial partitions down, reclaiming Tarot’s forgotten old ground for the sake of humanity's future understanding. Hopefully the more far seeing among us will appreciate the undertaking. Sadly, in the novelty-driven fray of popular Tarot, this is not the most popularity-producing approach to take! What is Dai Leon really saying with this book? Different readers will respond to this tome according to their different agendas. However, the intent is to introduce the Tarot community to the world of mystical, theosophical and religious thought that, blended together, called forth the upwelling of Tarot as we know it. There are many smaller discussions that have to be undertaken to support a premise of this grandiosity, so it's up to each reader to determine whether Leon handled the issues in a way that makes personal sense. As I read along, it seems that Leon's conclusions have been polished by many years of discussion with proponents of the Perennial Tradition approach. This may or may not go down easily with historians who view philosophies as if they were grocery store eggs bought in a carton; washed, waxed and untouchable within their separate shells. But for those who have lively minds and broad cultural curiosity (a quality that is not limited to 21st century thinkers!) Leon's tracings of these interpenetrating lines of thought are not only reasonable but also past established. One of my most appreciated sources laid it all out in 1900 -- that's Isabel Cooper-Oakley's excellent Masonry and Medieval Mysticism: Trades of a Hidden Tradition. Tarot historians howled when I first mentioned her name in public, but I have on my shelves academic works from at least five different professors telling substantially the same story, though all without reference to Tarot (Dan Merkur, Arthur Versluis, Nicholas Goodrick-Clarke, Ioan Couliano, Jacob Needleman). I can easily lay my hands on a further set of popularizing researchers, some of whom have even detailed the links directly to Tarot and its primary apologists; this list includes Valentine Tomberg, Tobias Churton, Robert O'Neill, Richard Smoley & Jay Kinney, Manly P. Hall, Robert O'Neill and Biagent & Lee. After all this research, care, and intellectual labor, why is it so very difficult for the Tarot community to acknowledge this historical stream and recognize our relationship within it? In the case of Needleman’s wonderful compilation of cross-cultural Tradition called The Sword of Gnosis: Metaphysics, Cosmology, Tradition, Symbolism (published in 1974) the word "metaphysics" caused the title to sound outmoded within the decade, despite the compelling content. (Inclusion of the word 'Gnosis' would also take on political overtones in the '90's, which to this day could distort a casual reader's impression of what the book is about.) In 1984, Couliano brought out Eros and Magic in the Renaissance, in which he covered the East/West interface quickly but thoroughly in his first chapter, called 'A History of Phantasy'. Again, the title might have steered Tarot researchers away, despite this volume's intense examination of the magic of "sticky thought-forms” transmitting numinous spiritual ideas through myth and symbol. 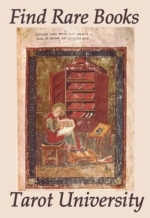 Arthur Versluis' excellent TheoSophia; Hidden Dimensions of Christianity (published in 1994) keeps the focus on underground streams in Christian thought, but he too couldn't address his subject without making the obligatory tour through Christianity's oriental influences in the process. In 1993, Dan Merkur dove straight into the question of East/West relations, even enlisting the word 'esoteric' in his excellent summary entitled Gnosis; An Esoteric Tradition of Mystical Visions and Unions. Merkur struck the bull's-eye dead on, but it still took another decade to argue the nuances of the term "esotericism" into alignment such that now it carries a somewhat standard meaning that academics can largely agree on. The unique contribution of Leon's book is to demonstrate how many different authentic spiritual disciplines seem to abut the territory that is unambiguously Tarot's. Heroically, and true to his Perennial Tradition roots, Leon is trying his best to represent them all. This is certainly not an either/or presentation, rather it's an and...And...AND presentation! We encounter spiritual and self-cultivation gems from multiple traditions alongside cultural and political insights couched in history lessons about little-discussed corners of the early Tarot world. Many of us have heard the references about Orientals of various stripes passing through the libraries and courts of Spain, Sicily and Southern Italy. By reading Origins of the Tarot, we get a much more nuanced view of how those influences found their way into the culture of the time, and from there onto the Trumps. If there is a flaw in Leon's thinking, it appears in his need to proffer "dualist Gnostics" as an anti-type, in contrast to the worldview he is so carefully constructing. It's a bit awkward when you realize that there's a tremendous amount of support he could draw from the new Western Esotericism documentation, if he could only remodel his definition of "gnostic” to allow for the non-dualists in the fold. By setting up this straw man as contrast to his avowedly non-dualist approach, he sacrifices the positive definitions of gnosis, which have been rescued after great intellectual labor from previous typecasting (as an ancient rebellious phenomenon tied to hermeneutic controversies inside the early Christian Church). Let us all remember that the opposite of dualist is not non-dualist -- no thing can be defined in terms of what it is not! Instead, the opposite of dualist is "monist" or "inclusivist", "holist" or "convergist", something like that. The dualist draws a line between "self" and "other", Good God and Bad God. The inclusivist sees it all as 'us' and all as God. My guess is that Leon wants to be identified with the latter camp, whatever vocabulary he uses to say so. Tarot, like other mystical and esoteric disciplines, possesses enough transformative mojo in even its simplest and earliest manifestations, to spark an initiatory experience in a person who is spiritually ready. This can happen even without the presence of a teacher to prepare the ground, and even with a defective or incomplete pack of cards. My own life experience is proof of this, and so is the whole 20th century Tarot boom (which has taken place without benefit of a fully-understood and perfectly rationalized unifying theory, might I add!) It is wonderful that the field is now becoming sophisticated enough to support this higher, syncretic level of analysis, where Tarot is explicated from the top down, so to speak, instead of from the bottom up (with a theory made of historical crumbs only). 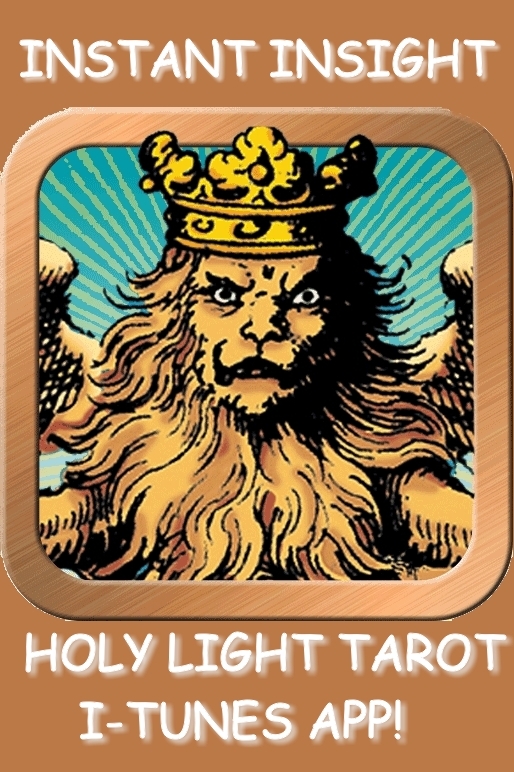 Dai Leon has made a firm step in the direction of Tarot's future, which involves taking a full and categorical look around the matrix that precipitated this powerfully loaded pack of icons. His volume should not be left to stand alone, but should be responded to with equal thoroughness by those who hold the rest of the keys to this cosmic game. Origins of the Tarot; Cosmic Evolution and the Principles of Immortality is not the last word on the subject, by any means. But I sincerely hope that it's the first word in a new wave of Tarot studies, undertaken with the kind of sensitivity for the authentic spiritual quest that Dai Leon shows here. Of all the books that I really want to associate this volume with, it is Meditations On The Tarot, by Anonymous (Valentine Tomberg). Truthfully, there is no higher compliment I can give than that!